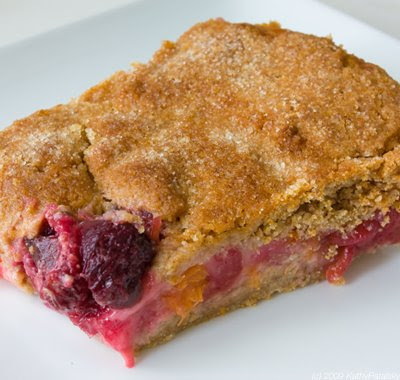 Cherry-Apricot Pie Bars. Summer Fruit. Spelt Crust. 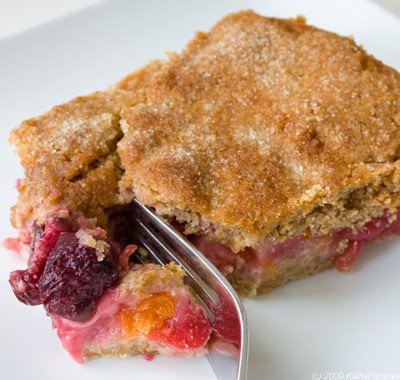 Summer Fruit Pie Stays Healthy. I always get frustrated when fresh fruit pies filled with healthy summer fruit end up in an all-butter, white flour crust. 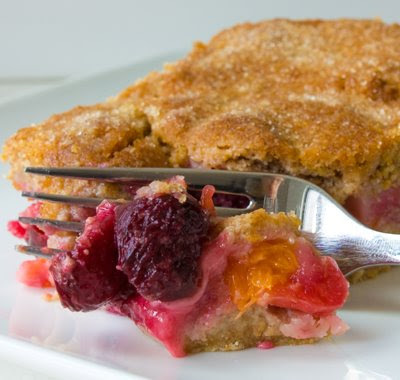 Pairing summer fruit with a bland white flour crust seems to make no sense. 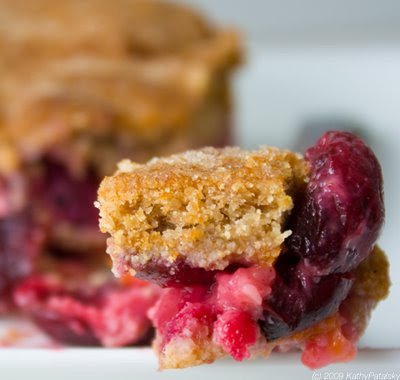 So this recipe takes that zing-y sweet summer fruit flavor and pairs it with a flaky, moist and flavorful spelt flour crust. There is even a bit of flax seed flour secretly mended in to up the nutrition benefits. All vegan. I am loving this crust! Cherries and Apricots. When summer rolls around, two of my favorite fruits are cherries and apricots. 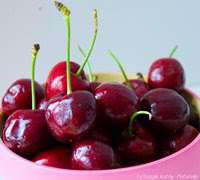 These two flavors don't often get put together, but I found that the sour-sweet cherries paired with the smooth sweetness of apricots makes for a delicious summer dessert. vegan, makes one 8" "pie"
Combine spelt flour, baking powder, 1 tsp salt, 1/4 cup dry sugar, cinnamon and flax seed flour in a bowl. Add water and oil. Mix into a dough. Add more liquid or flour if needed to attain a firm, yet moist dough. Wrap dough ball in plastic wrap and place in fridge for 20 minutes. 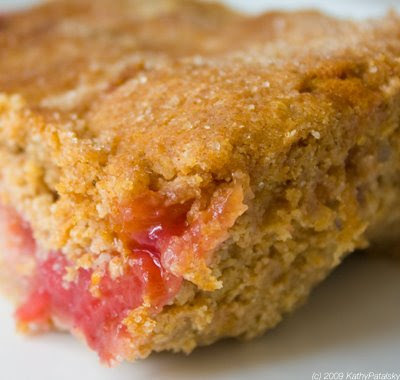 Add cherries, apricots, lemon juice, agave syrup, 2 Tbsp dry sugar, arrowroot powder, 1 tsp. salt and 1 tsp coconut or canola oil. Mix well, without mushing fruit. Arrowroot should turn into a nice jelly texture. Remove chilled dough from fridge and split into two pieces. Roll out both pieces into loose 8-9" circles. Prepare an 8" cake pan by rubbing it with vegan butter and a pinch of flour. Lay the first crust layer in the pan. Create a loose crust border around the edge of pan. Next, pour in the fruit mixture. Then lay the second crust on top of the fruit mixture. Poke a few random holes in the top crust. If the crust breaks a bit-that is OK. Topping: Drizzle melted vegan butter on top of crust. Bake for 30 minutes at 325 degrees. Serve warm or store in fridge for a few days.